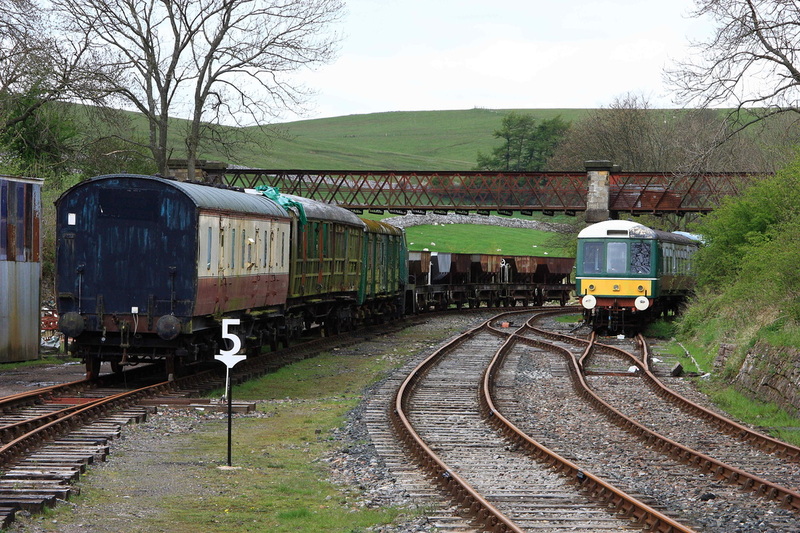 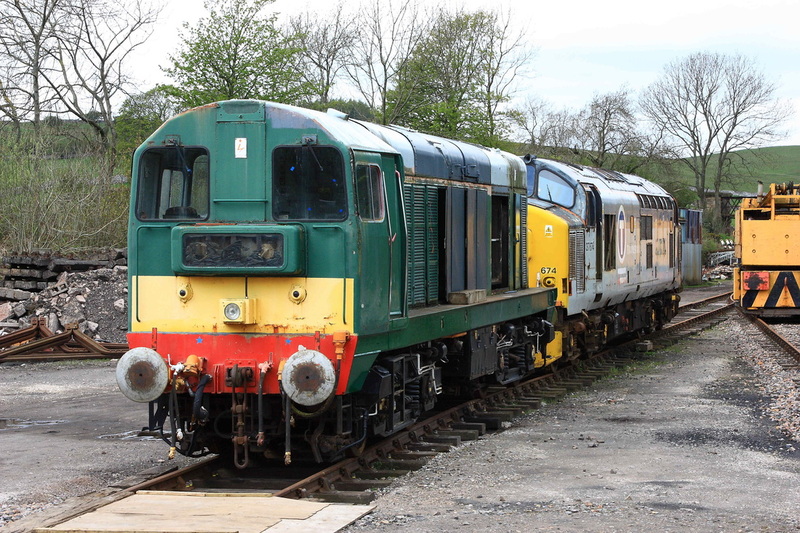 A Bank Holiday visit to view the progress of the 2 fledgling northern preservation railways. 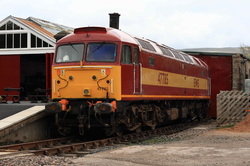 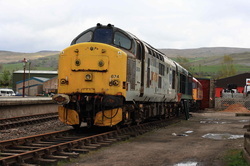 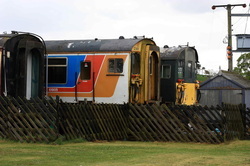 I had previously visited Stainmore on my way to the NRM (Shildon) open day in 2008 and was interested to see what progress had been made on, both the locos and infrastrure. 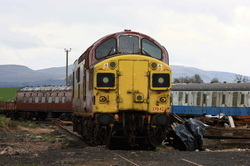 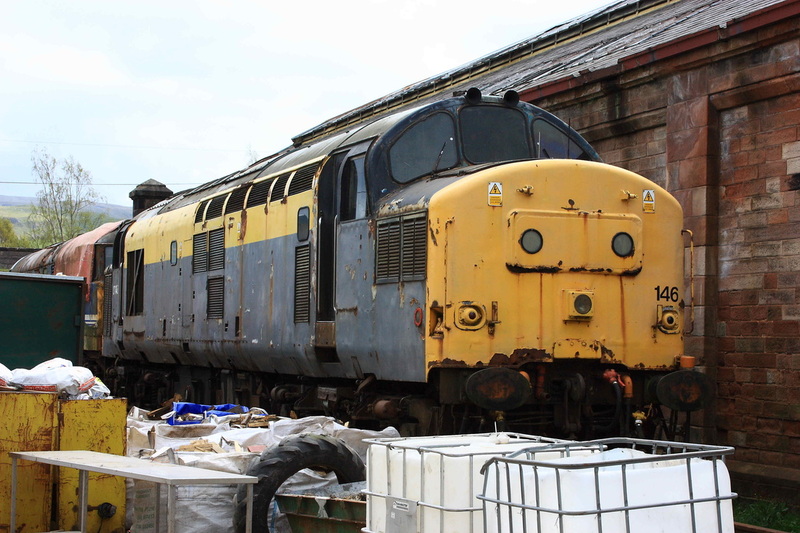 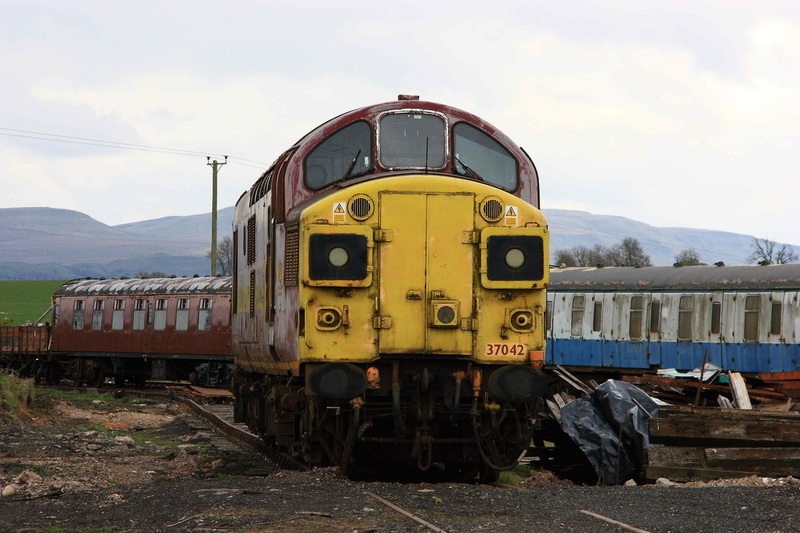 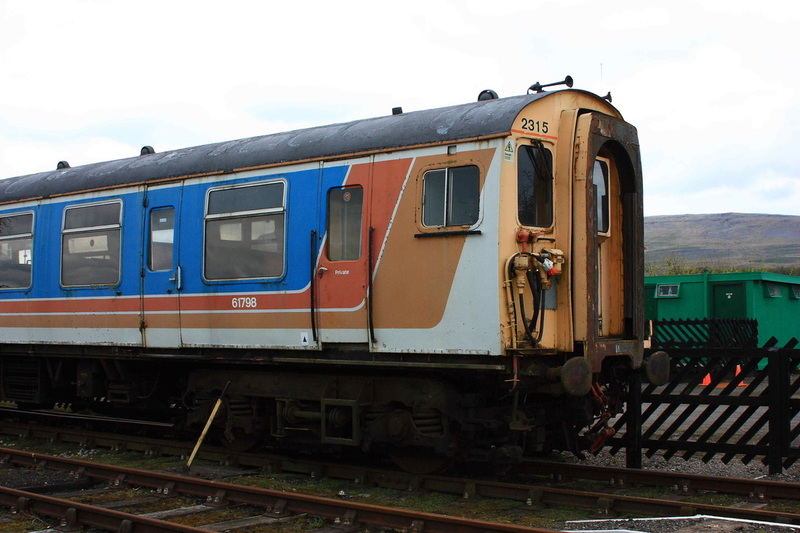 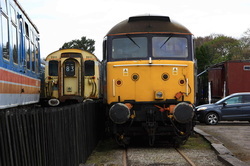 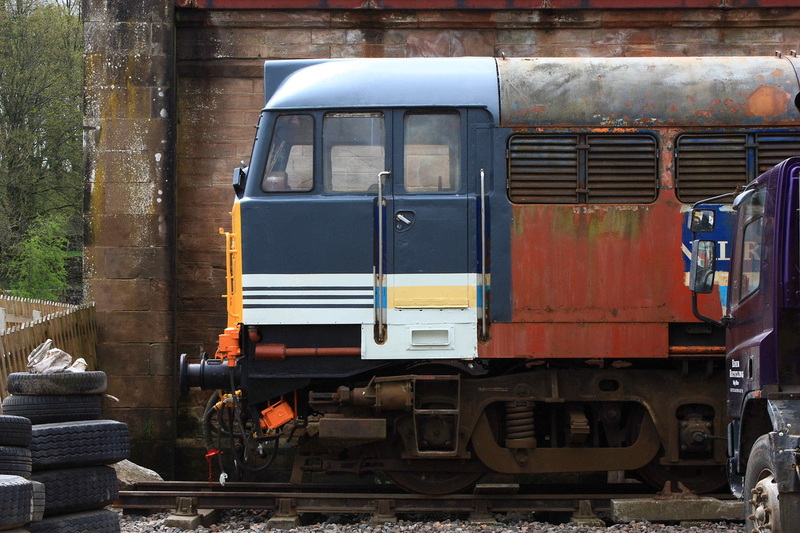 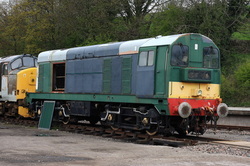 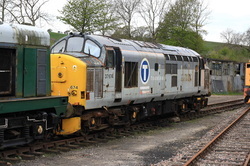 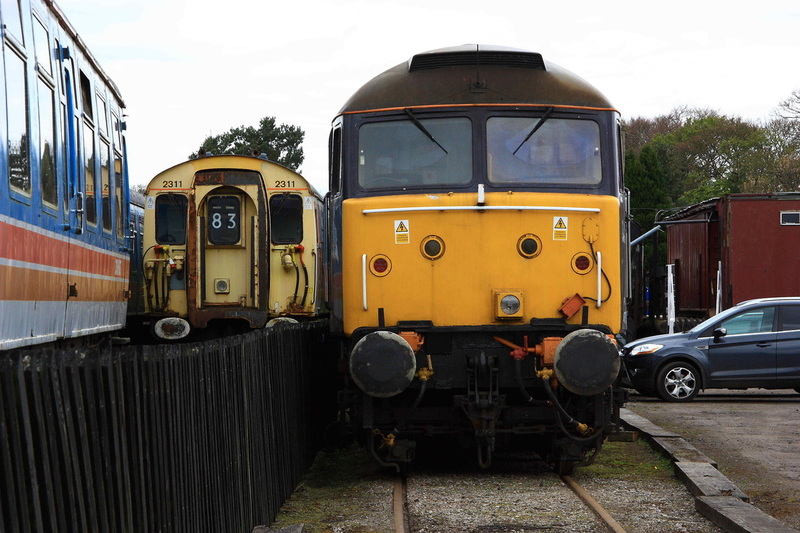 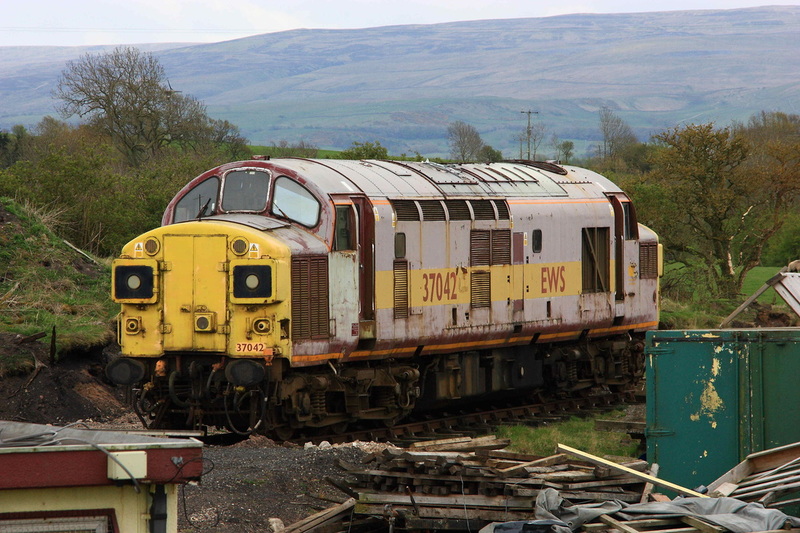 201x9 (169 I think) stands next to Kirkby Stephen East Station, showing that most of the body work is progressing well. 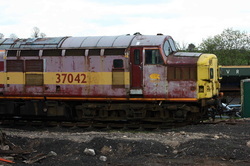 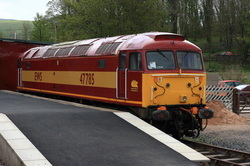 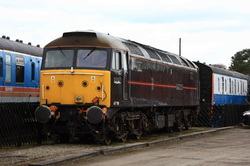 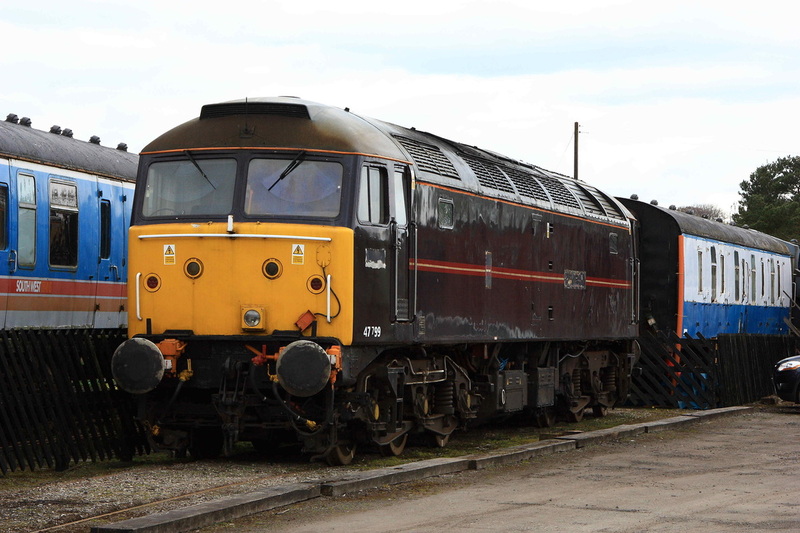 In a livery that I thought looked good when ex-works on most locos it was applied to, apart from Sheds, 47785, formerly named "Fiona Castle", stands with it's better side facing the camera. 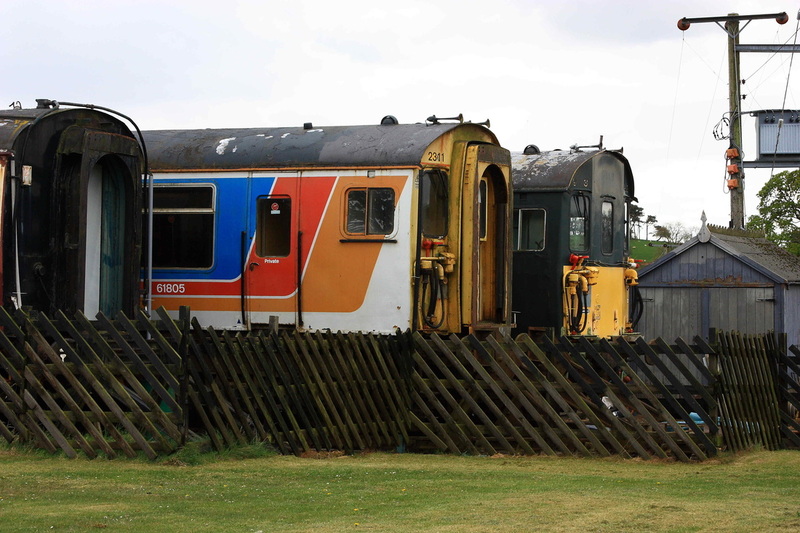 A general view looking North-West. 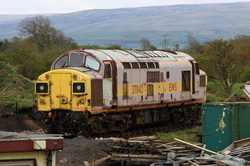 A Derby 108 unit sits where there had beeen no rail 4 years ago, and other infrastructure has also appeared since the last visit. A rather cluttered view of Dutch 37146!! 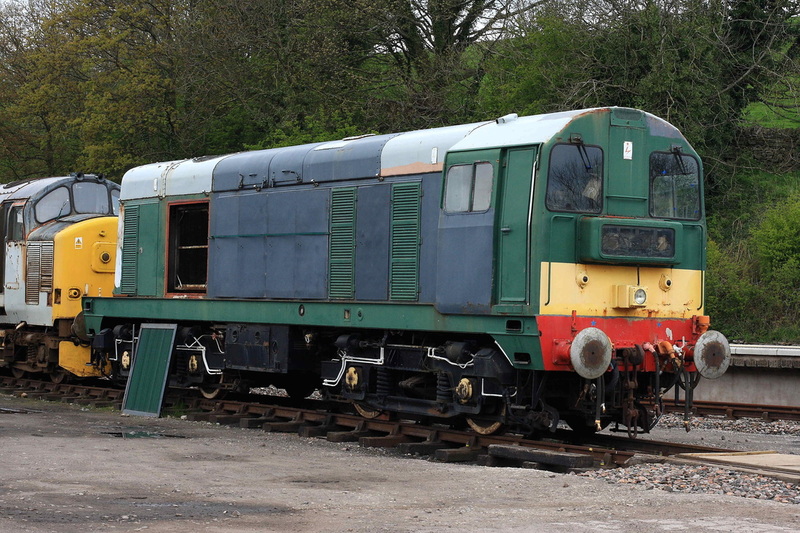 Slowly getting there, 31275 is now starting to look the part, although much is still to do. 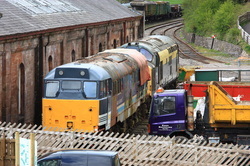 Looking down from the A685 bridge, the Regional Railways livery on 31275 is still visible, with Dutch liveried 37146 just behind. 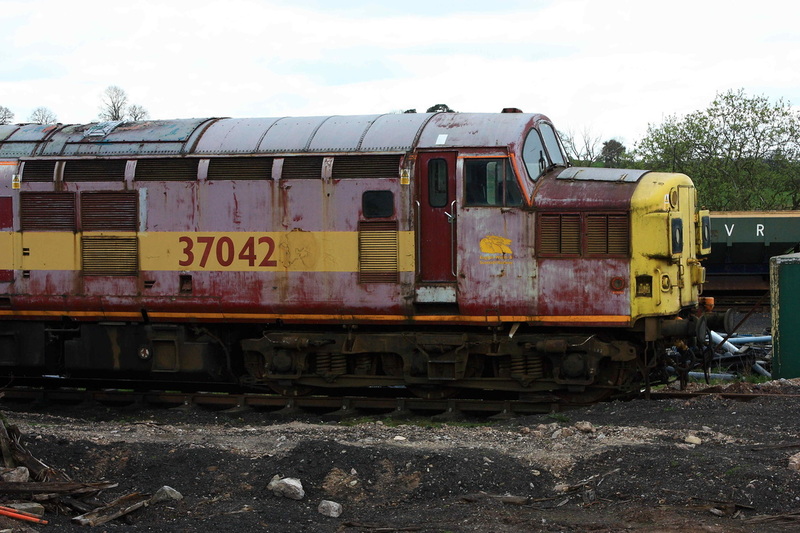 And if you need waste disposal just dial the number on the wagon just to the right, which stopped any chance of a ground shot of the locos!